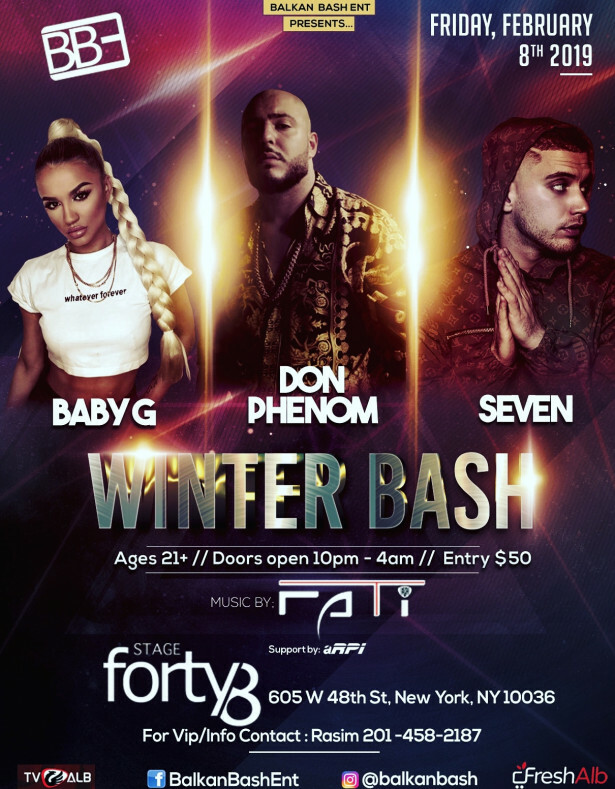 The WINTER BASH is taking place Friday, February 8th at Stage 48 in Manhattan NYC. Performances include NYC's own Don Phenom & 7 Saraci along with Baby G. DJ Fati & DJ aRPi will be providing the music all night long. Doors open 10pm and ages 21+. This event is presented by BALKAN BASH ENT. Tickets available at the door ONLY. For VIP/Info please contact Rasim 201-458-2187.